Processing Time: This item will be shipped out within 5-10 business days. ? *This size chart is for reference purposes only. Do you own this item? Be the first to get double RG points. Item added to your bag. The time it take to prepare your item(s) to ship them from our warehouse. The time for your item(s) to travel from our warehouse to your destination. 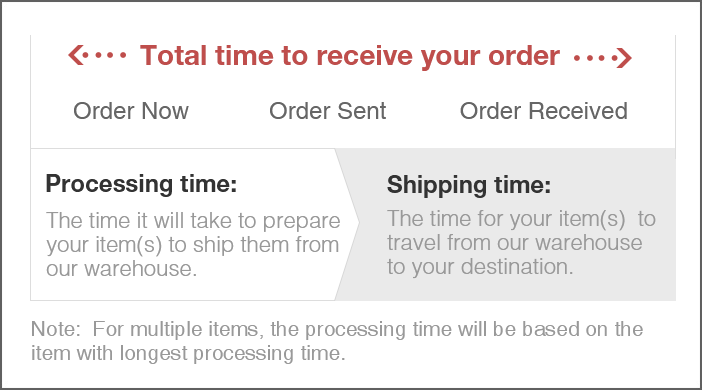 Note：For multiple items, the processing time be based on the item with processing time. You can only share 10 items in one day. Come back tomorrow, you will have another 10 chances to share different items you want free. Be the first to know about APP exclusive sales and offers!